The Medical Superglue procedure permanently seals affected veins with a cyanoacrylate-based adhesive. 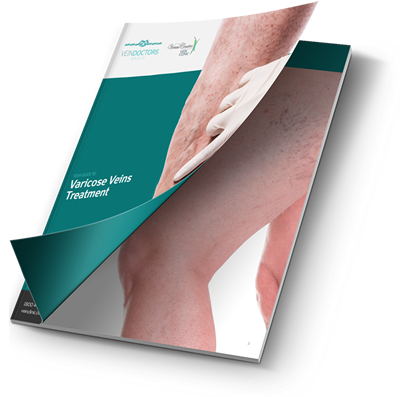 Medical Superglue is not specifically used to treat the actual varicose veins but instead works to improve the diseased veins so direct and more invasive treatment is not required. You do not need to cease any medications. Do not shave your legs. Wear slacks or loose trousers or shorts to the appointment and ensure that you have a comfortable pair of walking shoes. You will have an ultrasound imaging exam of the leg that is to be treated to confirm the area where Medical Superglue will be used. The doctor will again discuss the procedure with you. You may feel some minor pain or stinging with the injection of the local anaesthetic to numb the site where the doctor will access your vein. Once the area is numb, your doctor will insert the catheter (i.e., a small hollow tube) into your leg. You may feel some pressure from the placement of the catheter but it will not be painful. After treatment, the catheter is removed and a dressing placed over the puncture site. You will be free to immediately leave the clinic. You will be directed to go for a 10-minute walk before you go home. Walking for 10-15 minutes per day is advised until you see your Doctor again after 2 weeks. Avoid long haul flights for at least 2 weeks after treatment or if you want to travel before that time then please discuss with Your Doctor and appropriate arrangements can be made. Your veins will be checked with Ultrasound 2 weeks after your treatment. The Medical Superglue procedure is minimally invasive and catheter-based. As such, it may involve the following risks. Your doctor can help you understand these risks. Pain – Mild to moderate pain may persist for 1-2 weeks along the treated vein. Post Medical Superglue procedure discomfort should be managed with a combination of light walking and rest (with leg elevation) along with anti-inflammatory medication such as Nurofen or Voltaren. Paraesthesia (i.e., a feeling of tingling, pricking, numbness or burning) – this has been reported in some studies and is thought to be a result of inflammation around the treated vein temporarily affecting surrounding nerves. Phlebitis (i.e., inflammation and soreness of the treated vein) – this may occur along the inner thigh in line with the treated vein. This is again managed with anti-inflammatories and stockings. Your Doctor should be contacted if this is limiting your activity. For more information on Medical Superglue, or to book an appointment, please contact us today.